Hello again! Welcome to the Coronado’s Pool Renovations blog, where we tackle pool-related topics with expert opinions. 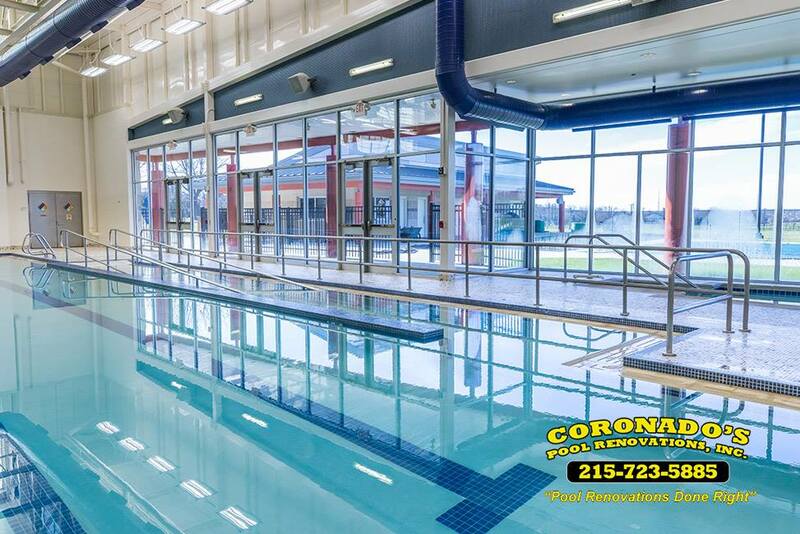 Coronado’s Pool Renovations is a local, family-owned company with a heart of pool care and community. We are a Bucks County pool cleaning business that offers specialized repairs, renovations, preparations, cleaning and more. Here at Coronado’s, customer satisfaction is important to us. Over our 26+ years of operation, we have learned that happy customers lead to success, and we always go the extra mile to ensure approval on every job. We offer the best warranties on the market and we never subcontract our jobs, so you know that you’re always in good hands with every Coronado’s project. We currently hold an A+ rating from the Better Business Bureau, which goes to show that our hand-on approach to customer care is working. Over the winter months, many pool owners close their pools and don’t think about pool care again until next summer. However, indoor pool owners still might have regular upkeep and maintenance to do. Sure, your indoor pool might see less use when it isn’t hot outside, but unless you close it down completely, it still needs regular upkeep. Here are some of the ways you want to always be sure to care for your indoor pool through the quieter winter months. Clean your filters. Even if your pool is seeing less use, it is important to check up on those filters every few months. Don’t forget about them, or you could run into trouble down the line! Oxidating/shocking. Remember to regularly check the chlorine level in your pool, and oxidate it if you have to. This will eliminate waste that cannot be caught by filters. Brushing. Brush down the walls of your pool every few weeks to prevent algae growth and mold. Of course, routine cleaning won’t suffice in every case. Some stains and larger issues will always need to be handled by professionals. To see some of the specialized cleaning services that we have to offer, check out our waterblasting and acid washing pages. Does your pool need a good cleaning this winter? Looking for advice with a specific pool care scenario? Looking to touch up your swimming pool during the off-season? Remember that you can’t go wrong with Coronado’s! Contact us today and we’ll provide you with a free consultation for your pool-related project.